Yesterday we showed you the first picture of the new Shelby 1000, the most powerful factory-built Shelby Mustang ever. That picture was real. 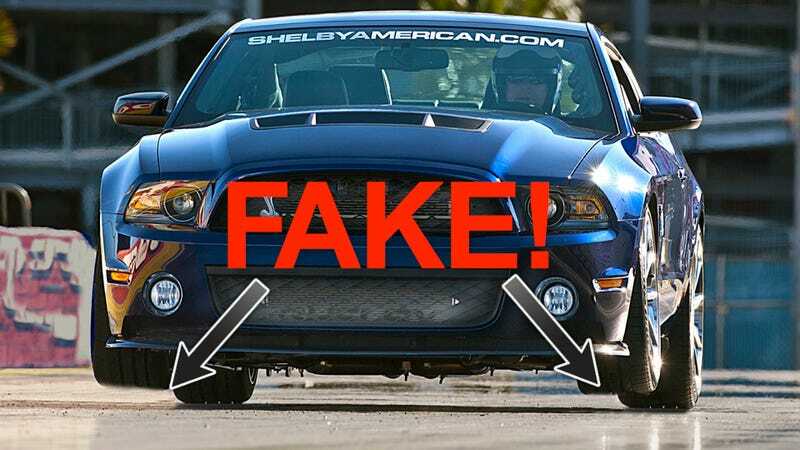 But thanks to a quick look at some of the pixels by the plucky photo buffs at USA Today, we've learned that other images released by the well-known Las Vegas customizing company founded by former race car driver Carroll Shelby, were fake. UPDATE! Basically, the photos in question — distributed to press as part of a group of media shots that ended up being used on many websites — show the two front wheels of the supposedly 1000 HP Mustang lifted several inches into the air, seemingly because of the car's immense thrust. But that's actually not happening. "A photo editor questioned how the Mustang could lift off the ground, given its weight and that it has only street tires. Also, the tires in the photo do not appear to be under stress. A close examination revealed photo manipulation techniques under the wheels." Shelby American vice president Gary Patterson yesterday acknowledged, in an email to USA Today's Drive On, that the photos were in fact the result of photo manipulation. * Oops. We regret to inform you that it too has been photoshopped! ** Well, if you can call a photoshop an "original" shot. "Recently, two photos of the Shelby 1000 were edited tongue-in-cheek to inspire those at Shelby American who had worked so hard to develop the car. While the images were not supposed to be used outside of the company, they were accidently included in a group distributed to announce the new car. When asked about the validity of the photos, the Shelby American team immediately explained that we allowed the photographer to have some creative fun during his shoot and they were never intended to represent the car in any other light than what was written. The Shelby 1000 is a fantastic car with tremendous capabilities and stands on its own, as demonstrated in stories by respected media outlets who drove it. We never expected the photos to be taken as statement of fact and always rely on our written and spoken words to represent the facts; no one intended to be misleading, just have some fun. 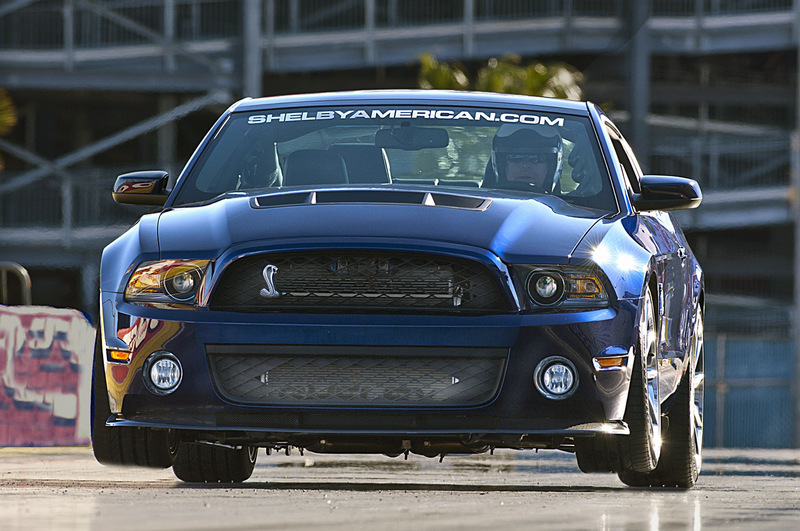 The Shelby American team regrets any misunderstanding or confusion that might have resulted from these photos. I invite everyone to come see the Shelby 1000 in person at the New York International Auto Show next week. We will unveil it during a press conference at 1:40 PM EDT on Thursday, April 5, in the Javits Center." John Luft, President, Shelby American, Inc.